Fall is a beautiful time of year. Great weather, Thanksgiving, hot chocolate and warm fires, and so on. Alongside all the beauty and fun that comes with fall are irritants of the eyes and nose from allergens. The common allergy symptom includes itchy, red, watery, swollen, and irritated eyes. 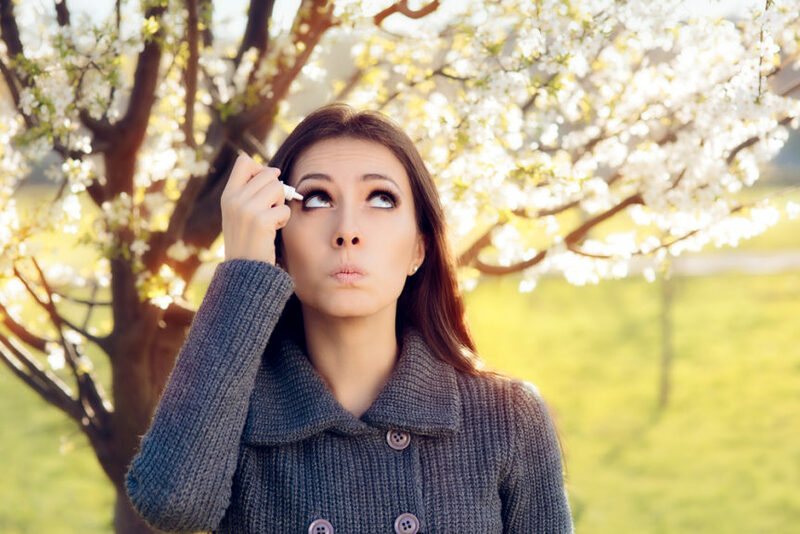 If you are suffering from allergies this season don’t worry, there are some steps you can take to find eye allergy relief. There are various causes of eye allergies, however they occur because your body is overreacting to a substance, or “allergen”. Your immune system creates antibodies that release histamine in your eyes. This is what leads to those pesky and irritating symptoms. How can one find relief from eye allergies? If you are looking for natural and do-it-yourself remedies for eye allergies, you can try some or all of the following to seek relief from those pesky symptoms. If these do-it-yourself remedies don’t give you the relief you need, consider seeing an eye doctor. Your eye doctor will be able to suggest and recommend certain over-the-counter medications that are best suited for you and can help relieve your symptoms. Your doctor may want to consider prescribing something as well if your symptoms are severe. For a trusted and caring eye doctor, come see us at our Arlington vision center. First Eye Care is a one-stop shop for your vision needs from a caring team of optometric experts to a lens shop for glasses and contacts. If you have any questions or would like to schedule an appointment, please don’t hesitate to contact us today.